I have read how robots are taking over the workforce. While this is somewhat true. It isn't happening at as fast a pace as you may think. 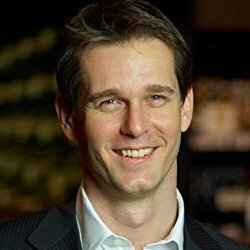 According to Andrew Charlton, machines aren't taking over human work any faster than they have in past waves of technological change. Currently the annual rate of job loss to automation is less than 0.5 percent of all jobs. This is substantially slower than job losses in agriculture in the 1950s, when many farmers lost their jobs to machines and the 1990s when robots began taking over and displacing factory jobs. Recently, there has been an increase in new jobs that involve creative thinking, interaction and emotional response. Andrew Carlton says that "Jobs like community, and business services and other specialized professions that rely on uniquely human skills has outpaced the loss of jobs in laboring and administration." Other changes that have positively impacted human jobs is the improvement of how we do our job. Days of manual entries, carbon copy typing and long laboring hours have been improved by automation, computers and advances in technology. This article by Quartz.com has an optimistic look at this subject and makes a valid point that says, " Widespread unemployment due to technology has never materialized before. Why, argue the optimists, should this time be any different? It also says that "Today's optimists believe that the latest automation technologies will create new jobs as well." Let's face it, we aren't going to stop technology from advancing, but we can use it to our advantage. Look at how much less time it takes to stand in line at stores, or how banking has changed and improved. Even schools and teachers are able to communicate directly with students and parents and spend more time with their students because of advances in technology. Machines will never have the true emotions that humans do. Another advantage of technology, says Andrew Charlton, is the gains that it can create in our economy. If productivity and automation increase, so could our national income. He says that policymakers and company leaders should embrace automation rather than resist it. He points out how Australia lags behind due to lack of investments in automation compared to the US. Andrew Charlton points out how a need for strong education, training and employment policies can prevent vulnerable workers from sliding into joblessness. He states that programs should be put in place to help people who lose their job to machines, find new ones. We aren't going to stop technology from advancing, no matter how much we may resist. Fortune.com wrote a very good article in 2016 that says "why not create jobs for people who are in the fine arts, People such as artists, poets, playwrights? These people don't hold steady jobs like they did in earlier days. Giving them incomes to match their efforts wouldn't be any more difficult than a bureaucracy of handouts, which would yield much surer returns to society." The article also makes a great point about creating jobs for tasks that are now done on a volunteer basis for the good of communities. They point out how volunteering creates happiness and that gains in productivity will help our economy afford to go in either direction. As Andrew Charlton states, "Automation isn't a force we can stop. There is no doubt that over the long-term, automation technologies will be the primary engine of prosperity, lifting wages, living standards and work conditions. But in the short-term these same technologies present risks that must be managed to ensure that all (people) benefit and the gains are fairly shared."